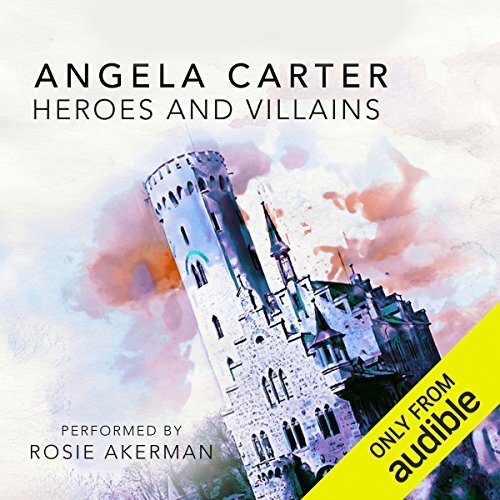 A modern fable, a postapocalyptic romance, a Gothic horror story: Angela Carter's genre-defying fantasia Heroes and Villains. Sharp-eyed Marianne lives in a white tower made of steel and concrete with her father and the other Professors. Outside, where the land is thickly wooded and wild beasts roam, live the Barbarians, who raid and pillage in order to survive. Marianne is strictly forbidden to leave her civilised world but, fascinated by these savage outsiders, decides to escape. There, beyond the wire fences, she will discover a decaying paradise, encounter the tattooed Barbarian boy Jewel and go beyond the darkest limits of her imagination. Playful, sensuous, violent and gripping, Heroes and Villains is an ambiguous and deliriously rich blend of postapocalyptic fiction, Gothic fantasy, literary allusion and twisted romance. Angela Carter (1940-92) was born in Eastbourne and later evacuated to live with her grandmother in Yorkshire. She read English at Bristol University and, after escaping an early marriage, went to live in Japan for a number of years. She wrote nine novels, which blend fantasy, science fiction and Gothic, and is often referred to as a writer of magical realism.